There are lots of tailor shops in Bangkok but you can expect a huge variance in quality and prices for the same tailor-made shirt. Avoid those which rely on dishonest taxi or tuk-tuk drivers to bring unsuspecting customers to their shops. The premium you are paying for your shirts/suits will most likely go to their commissions. If in doubt, check out forums and word-of-mouth referrals for good honest tailors e.g we found Paul’s Fashion through a referral from a friend. Paul’s Fashion is located in Amari Watergate Hotel, just opposite the popular fashion mall – Platinum Mall and beside another popular shopping haunt – Pratunam Market. The Paul’s Fashion is now run by Mr Mike Gulati whose father, Paul started the shop here 13 years ago. As Paul’s Fashion reputation for good workmanship and reasonable price grew, so did competitors who set up shop just opposite Paul’s Fashion. When we visited the Paul’s Fashion, we counted at least 4 other tailor shops around it on the same level of Amari Watergate Hotel – one of which was only just open for a week! Not sure whether you want single breasted suit with one/two/three buttons or a double breasted suit or whether to get a Napolean or Button Down collar? There are lots of references available from magazines and books in the shop and ask Ram, the shop manager who can provide you with recommendations on what’s suitable for your body type. 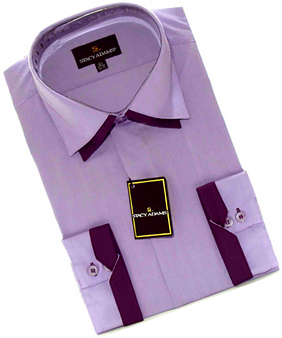 There is also little hassle in making a custom suit and shirt. Ram noted down my preferences for cloth quality and design and made the necessary measurements within an hour during my first visit. I came back the next day for a quick 30-minute fitting (which explains the makeshift suit in the picture above). With Platinum Mall just across the street, we will have to come back for more shopping anyway so it wasn’t a hassle returning for the fitting session. Paul’s Fashion then delivered the custom-made suit and shirts the next day evening (suit, 3 shirts and 2 pants all tailor-made in less than 3 days). Update (19 March 2013): New package available at Paul’s Fashion – 3 Shirts and 2 Trousers at 4999 Thai Baht Sorry, this promotion is no longer available! The shop is open Monday – Saturday 10:30 AM – 8:30 PM and by appointment only on Sunday. Hi , where did you find all these time and money to travel ? Both of you earn more than 10k a month? Just curious how to do it when most of your reader are of middle working class. I was there sometimes ago to do my shirt & pants.. as timing was quite rush, I didn’t have much time to try out all of them before I have to fly back home. I wrote an email back to them telling them the tightness of the shirts & pant. They replied my mail asking me to mail my cloth back to them & they will mail back once complete. Guess what?! After I mail to them & drop them an email, none of my email is being replied. I really doubt their sincerity in doing decent business. I am utterly DISAPPOINTED with their business ethic. AND definitely, I WILL NOT go back to them again. I’ve forward the entire email to your above said email. Matter has been clear. Paul Fashion email has been hack as they claim & they have professionally called me to clarify. I believe issue will be settle soon. Hi guys, first of all great blog and i stumbled upon it while searching for places to shop around in Bangkok. I am interested in tailoring long sleeve shirts for myself. I wonder if u guys or Mike could share with me the charges for tailoring a long sleeve shirt. The prices are very similar, but from experience, I think Alex has more older stocks of materials which tend to spoil faster. Newman was good but prices vary. I also liked Paul, but they do only basic designs. Mia here, remember we had met in Singapore and then in Bangkok. I must say, I am very dissapointed with your quality. The dress which you delivered to us at Novotel Hotel was totally the wrong cut and the fitting was not good. My son’s shirts were ok. I waited for your staff to come pick up the clothes from the hotel for alterations but nobody came. Last month, my friends were in Bangkok and had clothes made from your neighbour, “Newmans” and their clothes are really wonderful. My son would be visiting Bangkok again in August, hopefully you give more attention to him. I will be sending my dress back with him for alterations. You know Roger don’t even want my son to visit you again, but I have asked him to go back so that you can change the dress so that I can use it since I have already paid money for it. was over loaded and it was very busy in the shop ,.we apologize for the in-convenience.Please ask your son to drop by and i will make sure he’s taken good care of…about your dress please indicate exactly what needs to be done if possible get get pictures taken with the dress which will help verify the problem…. Do give us another chance …. Hi Mike, it is Matt from Chicago! I am still waiting on my suits, pants, and shirts to be delivered. I realize you are busy but it has been over 7 weeks, I have been waiting. Lets get this done. Even though I have been waiting for some time for my garments. I will say that Mike was a very professional and cordial guy, it wasn’t about the sale, and assuming I get my items and they are spot on. I would use him again in a second. I will keep the board updated regarding the outcome. Mike- It was great seeing you again yesterday and getting everything straightened out. I used Mike last time he was in Chicago to make some custom suits and shirts for me. The shirts , were spot on, the suits needed some tailoring but were well cut, and the material beautiful. All in all I would say that Pauls Fashion is remarkable in that they offer terrific prices and the quality you get it second to none. Just want to confirm with you …after all the hassel with our unfortunate situation with the clothes got damage due to water (flood) now its all packed in …QC and ready to be couriered …It should take 3 working days to be in Chicago……Thanks for your patience and support …..I promise to do better and faster in the future. As we have been in this business over 13 years with the policy to always accommodate all customers, with the quality and satisfaction…..
Hi Mike, previously I made about 4 shirts from your shop at Amari Watergate. I love those shirts totally, and the material too! Will you be open on 8 Jul? I am planning to visit Thailand specially to make some more shirts for work and also for my wedding at the end of the year. Are you able to make shirts with double collars? See pic at following link. (http://fashioncollars.files.wordpress.com/2010/12/stacyds1830bg2.jpg) Any price differences? I am also intending to make a couple of pants and perhaps a suit for my wedding. I hope you give me good price! Also, just wondering if it is ok if I buy the material and you just provide the labour to make the shirt or pants? I am just talking about maybe just 1 pants where I will do that, just in case I cannot find the material from your shop. Btw, I am looking at those materials for pants which is a bit stretchable like those made for golf. Do you have? We do not have strech fabric but please bring them as we can do it for you ..
Hi Mike, thanks for the reply. I will be coming down to your shop tomorrow morning. Am staying in BKK from 8-10 Jul. I hope you guys can make my shirts in time for me. Also, I recently made a tuxedo shirt in Singapore but I was not satisfied. Do you guys do alteration as well? See you soon. Really happy to read about Paul’s Fashion in your blog. My husband made shirts and pants with this tailor the last time we were in bkk. The quality of the fabric was very good and the fit was great. I’m already planning to visit Paul’s Fashion next Friday with my girlfriends once we touch down in bkk. Will be making more shirts for my husband and hope they do dresses too. Hi Mike, as my husband will not be traveling with me, would you all be able to pull out his measurements from past transactions under his name? Thanks! Heard some good and bad comments from the above..but regardless might wish to give ur shop a try. will be travelling to BKK this thursday. Can i check with you how long can we expect collection if we are jus making shirts and pants as we are only staying there for 4 days. Also can we have pricing for shirts and pants. Thanks in advance. Was at your shop last Friday with 3 friends. We were quite happy with our shirts overall although the place was a little cramped. Will recommend you to other friends visiting Bangkok. Cheers. My 3 friends had visited your store last week. They seem to be unhappy with your staffs unexperience. From what I understand, your staff seemed very unbothered to reply to their queries about the materials. I think you lost yourself some big clients. Theses people could have recomended to you many more of their friends. I believe they went and had clothes done at your neighbours store and were quite happy with the outcome. I have been your loyal customer for the past 5 years, but hope your staff would be more attentive to your clients, otherwise it would be very hard for me to recomend anymore of my friends to your store. Hi Mike, I had sent an email twice today but still no reply. I would like an update on the shirts i made last week. In total there were 13 shirts and 2 pants. pls advise as I need those shirts very soon.. I came on the 15th of July. I have enjoyed reading your posts. Any way I’ll be subscribing to your feed and I hope you post again soon. I was in Bangkok from the 12th to 15th of October 2011 and I was recommended by a friend of mine to visit Paul’s Fashion for tailored shirts. And I must say even though the prices in other shopping malls are more competitive I do not regret tailoring my shirt from Paul’s Fashion. The only thing i regret? Not making more shirts to bring back with me. Definitely recommending all my friends who needs tailored shirts to visit whenever they are in Bangkok! Anyway Mike, I have sent you a few mails yesterday and I have received your replies fairly quickly, thank you very much for that, however after reading the comments from above, should I change the email address that I write to? So that it’s more convinent for you? Today is a superb experience in Paul fashion. I’m doing a suit for my wedding and they are professional and know what I need better than I do! May i know the price for the shirt and pants ? I’m interested to get few from you if the price is good. I was in your shop last year and tailored 2 shirts..But 1 of them is a little too big, so will there be any charges for alteration? I will be coming to BKK this june and will visit your shop again for more shirts..see ya soon. This is a really good read for me, Must admit that you just are among one of the most advantageous bloggers I ever saw.Thanks for posting this informative article. I will be down in Jul 5 and intending to tailor the full package as recommended. May I know how long will it take as i am leaving on Jul 8. I just returned from BKK and i did my suit there. I told them that i was referred by Passport chop but they said no dist. furthermore, i only had one tie instead of the 2 that was mentioned. My order is 19590. I will make sure you will get everything from me. When I come back to Bangkok from Europe. Do you all accept credit card and any surcharges? HAve send you an email..hope to hear from you soon as I will be coming over to Bangkok very soon. Unfortunately, i didnt have a good experience with Paul’s Fashion. Bad service! And the above discount is no longer valid at Paul’s fashion. That was what i was told when i visited them last month. I m really sorry for unsatisfied service that you have to go through …. Please do email me the detail and i ll make sure to go through detail and try to settle your problem as soon as possible and also make sure that we try harder to satisfy the clients……Regarding the discount e upgrade our fabric and quality but do not extra charge for the merchandise…. i am coming to bkk on 15/7 to 17/7 and understand that Sun is only for appointment only. is this true? if yes, can i make an appointment with you? i would like to make a few shirts and pants, sufficient time? Thanks for your reply, most likely i will be late as i will touch down BKK around afternoon. i will call you when i am in BKK on Sunday 15/7. By the way are you able to tailor the shirts & pants in time? i am flying off on the 17/7? My SO and I had made a total 0f 7 shirts (1000 THB each) , 8 shirts (750 THB each) and 1 trouser (1200 THB each) on 4 July 2012. Total amount = $14,200 THB. They also told me no further 10% discount will be given. Is your discount only apply to suit ? A bit disappointed that we had spent so much there and not even a single tie is given. But I still must praise you for your good workmanship !! The shirts are all very well made. I will be going to bkk on the 7 aug, my husband want to do 3 shirts and 2 pants. May I know if it is okie to get it before 10 aug, and can i know the price range now. Hi I have bought suits and the like off you before but I was woundering if you do or know of any place that make hats. I looking to get a fedora 1930 style or Indiana Jones style made for me. I will be in Bkk in November. hi, I just returned from my recent Bangkok trip. my friends & I had a very bad experience with the tailor shop next to Paul’s fashion in Amari Watergate hotel. Regretted for not doing homework & made the biggest mistake. The tailor is named ‘Newman Exclusive’. Their initial service attitude is superb but once u paid the deposit, they don’t bother to do any follow-up. I looked like a crown when I put on the so call finishing product. I can put a chicken each into the sleeveless shirt. After seeing that & they still have the cheecks to commend the shirt is fine after washing as the material is hard now. I do not accept the excuses & asked them to make it smaller. They refused & said nothing could be done. As they saw a customer walked in & afraid I would affect the business, the boss signaled to his worker to refund me. Though I got my refund but the way three worker passed me the money assume I m a begger. My god, do I rush back all the way to ask for this kind of treatment? What i want is just a justice & fairness. Please let everyone know about my experience & don’t become the next victim. Thanks.. I randomly came across your blog and I must say that you have quite a number of important and useful tips for people who are going to travel to Bangkok. I am traveling to Bangkok next month and has yet to book any hotels as I am unsure which hotel would suit my needs best. I will be there for 5 days and 4 nights and as I was going through your blog, I found that you had your suit tailor-made at Paul’s Fashion. Just wondering if they do cater to women? If so, would you recommend me to get my suits tailored there, price-wise and time-wise? Time-wise, its definitely more than enough – we spent about the same time there and had 2 fittings to check the size. Paul’s Fashion cater to women (my wife made her top there). Price-wise, it is reasonable for the quality offered – of course, there are cheaper options around but we havent tried them so cant comment. For hotel, if you are into shopping – can consider one of the hotels around Platinum Mall area so u can use it as a base for your shopping trip. Do you cater to women as well? I am planning to make some business dress + blazer. Do you make those? If so, what is the approximate price range? I will be coming to BKK in October for 4 days..
i can see there is a lot of good and stylish clothes and the main thing is that i would the design. I found out about Paul’s Fashion on this website and have become a loyal customer since. Prices are really reasonable for the very good quality of fabric they provide. Making a suit here is fuss free, lots of fabric to choose from. I am clueless about how to choose the design but the friendly tailors at Paul’s Fashion are helpful and make good recommendations. Even my boyfriend who is German (Germans are notoriously demanding of quality and efficiency) is extremely satisfied. Back in Germany, quite a few of his colleagues has commended him for the Paul’s Fashion suits! Just like the authors of the blog, making the suit here was hassle free for me. Saw many Singaporeans there but I did not have to wait long for my turn,they do have quite a few staff who can help you. I could spend the time browsing the tonnes of fabric, it was literally a sea of fabrics and you can definitely find something you like in the exact shade that you want. They do carry same design fabric but in different shades of color so for example if it is blue you want, there must be like 4-5 different shades you can choose from. Its like a shopping paradise, so do allocate enough time for yourself to be there to choose the fabrics. After that, the measurements are taken down and you come back for a fitting the next day, and the day after, viola, you can collect your suits. Paul’s Fashion’s is renowned even in US and Europe. The owner Mike flies often to Europe and US upon clients request to make suits there. Recently, he flew to where my boyfriend is based in Germany and took measurements and orders there. So if you do know of friends who are overseas but who appreciates good suits at better prices, you can contact Mike to pay a visit. If you are in Singapore, even better, Mike comes regularly to Singapore, just search for Paul Mike Gulati on facebook, add him and you will be kept informed of his Singapore schedule. All in all. I thoroughly recommend Paul’s Fashion for their workmanship, service, quality and value. We will keep up the good work and make sure all our clients full satisfaction .. Please keep following up new Shirts pants offer coming up …. Hi, I am a customer from Singapore and I went to your shop to make a suit on 27dec. I was told that due to the peak holiday period, I could Only received my suit 2weeks later. Therefore I made the full payment, leave down my details and went back to Singapore. I was being served by ram. His service was good however till now I have not received my suit. I took up the passportchop package. I just want to know why is it I have to wait so long and hope I be assured by the boss of Paul fashion that my suit will reach me soon. or please do send me your mobile so I can call you personally and update your status Sir…. Hi, I have received my parcel on 18 Jan. The blazer is fitting however the shirts i wanted is not as fitting as what i requested to be done. Pants also not the slim cut that i wanted it. So how? It seems like i need to spend extra to bring it for alterations elsewhere. is there any other alternatives? Thanks. We have your order and can get the design and measurements out. Better if you can give her a sample to copy. The Year 2013 We promise a better and faster service …I would like to update on our plans…. Due to the pass year 2012 our Business sale has growth up to 30% from the previous year of 2011…And we hope for better 2013 …..
Last but not least to Ram +Danny +Kris + Dev our Staff who really gives 200% effort to make sure all our customers are served with extra attention and care…. [email protected] or [email protected] ……is the fastest connection way to write to us..
our new website is getting update very soon .. I am going to Bangkok end of March this year and one of the agendas is to tailor a suit. A friend of mine recommended me “Paul’s Fashion” as he made his suit there for his wedding 1-2 years ago, and he seemed pretty happy about his suit. So, I started to Google about Paul’s Fashion and I found your blog. As I had bad experience in Krabi (even though I didn’t make any due to bad service), I am grateful that I found Paul’s Fashion that many people recommended. 3) If I only need a suit with a pair of trousers, a shirt and a tie, how much doest it cost? I prefer to have 1 set first, if I am happy with it, I will definitely come back and tailor more. 4) You did mention about the 10% discount, what do I need to do to get the discount? Just mention that I am referred by Passportchop.com? For question (1) and (3), i will let Paul answer it. On fashionable design, it is very subjective so can’t really answer it – I am not a very fashionable guy but I like the designs when I shopped at Paul’s Fashion. You have to judge for yourself when you are there – you are under no obligation to buy if you don’t like what you see but let Paul know and I am sure he can come up with designs that might be what you need. For the discount, yes just tell Paul or his shop assistants and you should be able to get the discount. Now a days fashion for jackets is Single breasted 2 button shorter than regular slim lapels with 2side vents…Trouser flat front slim cut ,…Shirts again slim long sleeves cut away collar double cuffs no pockets…. As 3 days times period is sufficient We be able to give you 2 fittings and deliver for you to your hotel before you check out.. Please refer as passportchop clients for 10% discount also recommended to check for upgrade on Higher quality specially for Passportchop clients who prefer to go with top notch upgraded fabric such as Armani D&G pal Zilleri etc…. I will be arriving Bangkok on March 24 (Sunday) evening and leaving on March 27 noon. I understand that your shop is closed on Sunday, how can we arrange to ensure that you will have enough time to tailor the suit? I will staying near Platinum Mall area. I ordered 2 suits from Mike and they weren’t even close to fitting. When I emailed him and told him about the issue he didn’t reply. I sent him another email threatening to send the suits back to him and telling him to reimburse my credit card. This time he replied by telling me to take pics of me wearing the suit and send them to him. He promised to reimburse me for any needed alterations. I am now sending the whole order back to their shop and requesting a full refund. I am also disputing the transaction with my credit card company. I also know of one other person who is currently having the same issues with this tailor. Thank you Mike for getting back to me. There were communication problems between Mike and I since I am one of his many international customers. When each of us figured out the actual issues he reimbursed in full and was very apologetic for the situation. Mike Gulati is a very generous man and guaranteed my satisfaction in the future. I am very happy with the way things were handled. The suits he made for me are of beautiful quality they just need to be altered for a better fit. Mike has promised to check out the flaws in the fitting next time he is in Chicago in March. I look forward to dealing with him again as the suits he made are of the highest quality. Yes. I emailed but only received a reply once and no more follow up after that. I am still waiting for his reply as well. I would suggest please keep the suits with you and I will make the trip to Singapore and check the suits for myself and bring back to remake them If its not possible to alter I suggest re do new Suits all together…Will NOT take any payment untill you are 100% satisfied…Please do give us another chance…. Very sorry for the late reply as I was hospitalised due to Liver infection…. Dear Mike, my name is Kelvin. Hope that you are getting better. I will be in Bangkok on 16/3 and leaving at 20/3. Not sure will it be enough time for fitting and ready? Will you be at your shop on the 16/3 Mike? Mike, I’m glad that you are well. Health is of importance than anything else, please get well soon. My check in time is after lunch. I planned to go elsewhere before heading to your shop. Let me reschedule and try to be there as early as I can. Whatever it is, I will see you on 16/3 Mike. Dear readers, I am definitely a stranger to this blog. I’m planning to give Mike a try during this trip for his skills and service. I will come back and give my true comments and opinions when I am back to Singapore. Mike, just to check with you. If i do my shirts and pants on 16/3 (Sat), and do my fitting on 18/3 (Mon), do you think the goods can be ready on the 19/3 (Tue) as i am leaving on the 20/3 (Wed). I plan to do 3 shirts and 2 pants. Mike, I should reach my hotel at about 2pm. After my check-in, i will proceed straight to look for you first. Just to check w you, if I am able to bring 1 shirt of my hubby and tailor additional 2 there, would you be able to tailor with the sample shirt, as he has a busy schedule and won’t be able to be there. Pls advise. Also how much s the price range for men’s shirt? We can copy identically and deliver to your hotel if you have no time to pick up.. Sorry, looks like you have earlier been recomending Paul Fashion and as of December you have been recomending Alex’s Fashions. My friends had clothes made at Alex’s and the staff at Alex’s Fashion’s informed them that you were given free clothes and more $$ to write good about them in your blog. Not very honest Singaporean like leh..
Mr Hiqiang told me he was recommended by my old customers..
@Mike – thanks for your comment. appreciate the clarification on my behalf. I agree that the after service of Paul’s Fashion is below expected. There isn’t any after sales customer service. And the promotion on this website is not applicable anymore. They are charging more than stated or rather i am charged more than what is stated on the website. And i have shown them this website promotion, they said it is no longer applicable. Felt kinda cheated. I also did ask about the overcharged as you mention …. As my policy customers always right and will do everything in my ability to make my customers satisfied …. Please do let me know what I can do to make you feel better.. The clothes you purchased how do they fit ? Quality ? I hv just make 2 suits with 2 pants & a blouse recently few days back in your shop. Standard is far below my expectation. When I went to the shop, the staff says that their price is much more expensive than the rest of shop because of the quality. I was shown that inside the suite is hand stitch, that’s why more durable (Suite can last longer). Therefore I proceed to make 2 even though it more expensive than other shop. I thought I pay for the quality. When I got the suits on the last day, I found out that things was not done as they claim. Reason given to me was that they don’t have enough time to do it.then I told them they should hv told me upfront! Worst part is that they push the responsible to me saying that I did not request for them to do hand stitch. Can you imagine you show us how gd your quality is & quote us a price based on that, but u did not deliver what u promise, how will I feel? I really feel very disappointed. One of your staff even deny that they show me. Frankly speaking, how would I know about hand stitch thing if you didn’t show to me? For the blouse, what I saw in the magazine was 3 buttons at the collar neck , hence I requested to do the same. But what I got it, is just a simple blouse which is different from magazine. When I wear to office,my colleague realize the 2 suit front collar is different length. Different is by 0.1 inch. The padding also out of position. I nearly faint. Never will I dare to recommend people to your shop again with such a bad experience. You came with big group and did check other shop prices too..
And later you have with shoulder problem which is totally in acceptable..all my clients leave our shop happy.. I would like to offer you total refund for the clothes …if you have to send the clothes back we will also cover the shipping charges …if you would wait for 3-6months we will keep as recorded . I would be coming to Singapore in may and if you can find time to meet me we can discuss the best way out ..if you can to alter at that stage or total refund. Dear Mike, I’m back in Singapore. First and foremost, I like all readers to know that I am no one with this blog, neither am I anyone with Paul’s Fashion. I am just anyone like yourself happen to find this blog. Whatever I am stating here is a true facts which I personally felt and is based upon my own opinion. I like to say a very big thank you Mike for the price you maintained for me. It was at THB5000 for 3 shirts and 2 pants. The way I wanted my shirt to be, it was suppose to be higher in cost. Because there are many requirement such as inner pattern and additional of cloth to be at the pocket, additional inner collar and etc. I’m sorry if I didn’t get the terms correctly and I have no idea how it should be called. Let me continue with what I like about Paul’s Fashion first and then follow by what I don’t like. The fabrics they have was really good. I haven’t really wear it because I just came back from Bangkok and have many things to settle. The shirt now is still inside the paper bag. However, during the fitting, when I put it on, immediately I know that the shirt fabrics are comfortable. I am a salesperson and have been wearing shirts for the last decade, and that is why I know that it is comfortable immediately when I put in on. Their measurement was sharp. I said sharp because after the measurement, and during the fitting, the moment I put on the shirt and button up, wow…I know that it is exactly what I wanted. Exactly what I’ve come to expect. The cutting and the entire shirt fits me very very well. So well that it is even better than what I’ve done in our Singapore tailor. In conclusion, the shirt is flawless. Thank you very much Paul’s Fashion team and Mike. The 2 pants I made was also very comfortable. The moment I wear on it, I can feel that it is so soft and comfortable. With such a humid weather in Singapore, for sure I know that it is going to be very comfortable wearing their pants. Let us move on to the bad side. I made 2 pants. Nowadays, the trend for men’s pants are slim cut and tight fitting. I like to do it that way and not those lose lose type where it looks like uncle or “ah pei” pants. I instructed the staff that I wanted my pants to be slim cut and tight fitting. They took down the measurement and I went for the fitting. During the first fitting, I tried on the first pant. The first pant was alright although still not up to what I wanted. But it is acceptable. So I tried the second pair, this one looks like “ah pei” and like those lose lose type. So I told the staff, this second pair is something I cannot accept. Ok, they make changed. When I went back for the second fitting, it was slimmer fitting now, but still not that kind of slim that I wanted. So I asked the staff, can you make it slimmer? The staff gave me his opinion that it will not be nice to make it slimmer anymore. And he explained his opinion. Well, what he said make sense and I accepted. I thank him for his opinion, but I think he should respect the customer choice and respect the customer opinion and not his opinion. It is like when you order a coffee, the cafe manager told the customer that adding more sugar will spoilt the taste of the coffeebean. But if adding more sugar is something that the customer want, and is something that they will be happy, or something that the customer prefer, why not right? whether the coffee taste will be spoilt or not, at the end of the day, it is still the customer own taste and preferences. People who have studies about the consumer behaviour would probably know what I’m talking about. I didn’t insist the staff to make change again because I know that it will never be done properly if I were to insist. And then what happen? End up with disappointment again. Mike is a very busy person. He has to run around for his work and not being able to station in the shop like the way his staff do. From the beginning to the end of everything, Mike kept promising to be around to see me and take care of me personally, but he didn’t. He promised to wait for me at the shop on the day of my arrival, but he didn’t. He promised to meet me during the day of my fitting to ensure everything was fine, but he didn’t. Mike, as I can understand that you are not a salary worker where you have to station at the shop to look after customer. However, do not attempt to promise or commit something when you are not sure if you can make it. And remember this Mike, it takes a lifetime to build a reputation, and just 5 mins to ruin it. Don’t let the empty promise ruin your good reputation. Give a promise your customer wants to hear, and to deliver on that promise better than anyone else does. To deliver the promise no one else in your industry dares to make. Committed to keeping a promise no competitor would dare to make. This way, your customer like me Kelvin, would be very impressed. My friends saw my shirt and asked me about it. Can you imagine what I’ve told them? Exactly what I have described here. And then can you imagine what is going to happen if the listener think it positively and what is going to happen if the listener think it negatively? You probably got the answer Mike. The tailoring industry is already so competitive in Bangkok and anywhere in the world. How do you, as an owner, turn your Paul’s Fashion to a world class company? You first have to become a world class entrepreneur. Becoming a world class entrepreneur takes an enormous amount of uncommon skill. Developing that uncommon skill takes uncommon practice. And without the uncommon commitment…how can you achieve that world class company right? Meeting up with me as a customer is just a simple promise and yet you cannot even do it well. How can your customer entrust on your product Mike? Any product and any industry can be known for anything special. Tailor is everywhere Mike, just like many other industries. What is so special about you? Is it because you promise to meet me that make you so special Mike? And I like to tell you, yes Mike, you are special because never have I ever met a tailor owner who would love to meet up and see through everything with a customer like myself. And that is what make you special. If any products and services that has got nothing special, then they are offering the world commodities, and commodities are the worst word in marketing. A product or service that has nothing special about it is a commodity and can compete only on price. You need luck to survive if you are selling commodity Mike. I am quite upset that you didn’t deliver this simple promise that you made. There is no excuses or whatsoever, you just have to do it the moment you promised Mike. And if you can’t, don’t promise. Finally, the last word of my thoughts, I am happy and satisfied Mike. I will come back again. And the next time when I’m back, you got to make sure you deliver your promise alright. I m very glad that you liked our workmanship even though they was some recommendation on the trouser slimmer fit..
What is the latest promotion for Singaporeans? Is your store open in May 15-22? Is it possible to finish making within these time? If not, do you deliver to SGP? Any charges? Do you accept Visa or MasterCard payment? The time zone is perfect ,no problem, we will finish on time. We accept all kin of credit cards no extra charges. I’ll be heading to BKK somewhere between 25th or 26th April to 1st May 2013. Any idea if you’ll be in the shop during this period of time. Paul Fashion was recommended by my friends as they are regulars there. They gave positive feedbacks thus far regarding the price, quality and workmanship, etc. I’m kinda particular specially with regards to the workmanship which is my main priority. As my friends lost the name card and couldn’t recall one particular tailor’s name. Instead, i was told to look for an older and serious looking tailor working there. Any idea who are they referring to? In addition, what’s the ideal time to avoid all the crowd? Fingers crossed, as I would prefer someone knowledgeable and with lots of experience to avoid any unwanted miscommunication and to expedite on the whole process. Looking forward to my first trip to you shop. Hope to hear from you soon. Khorb khun maaak na P’mike. I will be heading over to Bangkok from 24th to 29th from singapore. My question is, how would a tailor with such a high reputation deliver such unpromising work. If you guys are outsourcing tailors, please do not cut corners by hiring those unqualified ones. Also each time when major adjustment is made, the cloth will be damaged. We are paying for the top grade cloth material like armani and D&G. Please live up to customers’ expectations. If not your business will not last..
Can you please send me your number so can call and arrange a meeting In September in Singapore….I would like to meet and check the problem ….If the service has not been up to standard we want to make sure you are not paid for what you didn’t order for…. Awesome post! Bangkok is a great destination of Custom tailors where you can custom made suits, shirts, jackets, blazers, coats and pants as per your need. They are not only help to increase your personality but also improve your self- confidence level. So many negative comments during Paul’s Fashion quality, abit holding back to visit Paul’s Fashion in October. Damien here, we met last year in Singapore. I had recomende some friends to your store earlier this year, however since we are no longer working together, I did not get to hear from him about his experience at your store. We met again a couple of days back and your topic came up. Here is what he told me. My friend, Jevon visited your store with 6 of his friends on 18th January, your colleagues seemed least interested to tend to them infact they were more busy talking amongst themselves. Upon enquiring the price of the clothes, they were asked how many days were they in Bangkok for. Then one of your colleague recomended them to go and order clothes from another store in your arcade “Admire Fashion” They found it very strange but since they had made up their minds to have clothes tailored they went to Admire instead. Let me tell you of the 7 people who made clothes there 4 were not satisfied. On the last day Jevon even asked the guys there why did Paul recomend to have their clothes tailored there, to which they were told that one of your colleagues and one of the salesmen in Admire are brothers. I understand that you’ll must have some sort of an understanding, but why recommend them to the store where the quality is bad. This is very sad, as I have recomended more friends to your store after that. Let me clarify, I am quite hesitant to recomend you further and will wait to get feedback from my other friends too. Hope you can shed a few words to explain this. Looking on positive side…Before May (Before expanding our factory ,machine and tailors) sometime we were not able to take more a days during the weekend….But still recommending to other shop is not acceptable…. Please,let me know estimate,month and date as,I just hired the 5th Staff to help service our clients……. I have always made sure on with staff regarding service……Hope your friend can try us on they next trip ….I would promise special discount for the time lost and bad experience ……. I will be traveling to Bkk next week and my friend recommended you to me for tailor made shirts. Just wanted to know if what are the latest promotions your shop on for the time being. I planned to tailor few shirts and trouser if possible.. staying in Bkk for ard 4 days. Cheers. Thanks Mike. Any package promotion? I will be in BKK 9-12 oct…enough time to make some shirts? what are the latest promo for shirts and quality range? We will be travelling to BKK 24-26Nov (Sun-Tues). Heard that you’re closed on Sundays right? Will 2 days be sufficient to tailor make a few shirts & pants? how long would it take to tailor 1 suit and 2 shirts? will be there 18-20 oct. How much would the cost of a suit n shirts be? Hi Mike, I am heading over to bkk at 22nd. would you be in store? 22nd Evening I have Flight ..
Hi Mike. 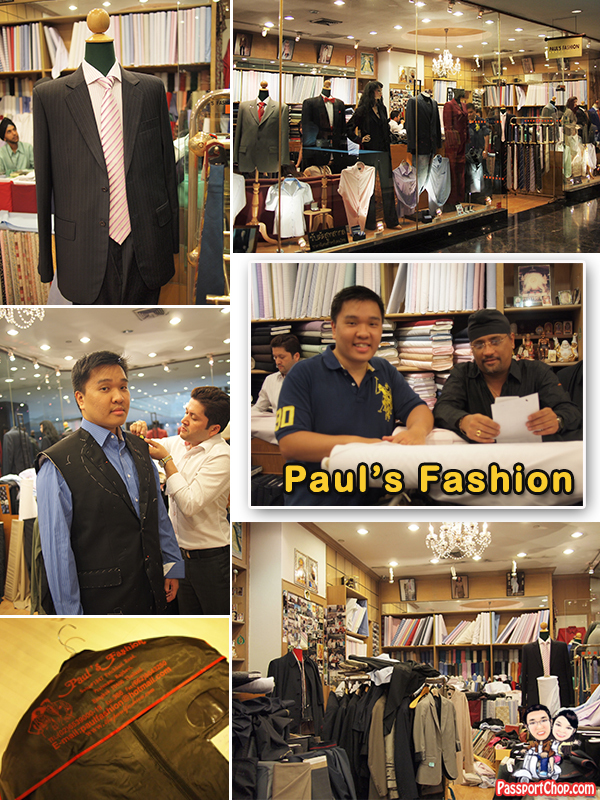 My friend recommended me to go to Paul’s Fashion to get some tailoring services done. I will be in Bangkok from 22 May to 25 May. Would you be in store to help out? Also, can I just check how much would it cost if I bring my own suit over and have you help me to alter the sleeves to a length that I want? Is it possible to get a pair of trousers done in the exact same colour and shade as the suit jacket too? Would love to hear from you. Thank you in advance! Can I get a rough idea on how much it might cost and how long it might take? Would love to hear a favourable response from you soon. Thank you in advance! I would like to make 3 shirts, kindly advise how many days it might take? I will be in Bangkok from 15-18 Nov, arriving Bangkok roughly at 8pm (Saturday). Possible to collect the shirts by Tuesday morning? Thank for this helpful post, there are many custom tailors’ clothes providers are, but some of them provide only quality, and reasonable clothes and Bangkok tailors are known for their customized services. Was thinking to customise a suit (jacket & pants), can I know how much will that be? I will be arriving in Bangkok on 27th December Saturday. What hours are you opened for on Saturday and Sunday? Nice blog…. I read your article its so nice. your collection is so cool thanks for sharing this blog. Recent trip to Paul, there isn’t any discount after mentioning referred by passportchop. No much explanation by the staff, have to top up for customization like double collar. I tailored a suit and a few shirts, but upon delivery to hotel, there is a missing shirt. Not sure if it is an honest mistake by Paul fashion or it is their usual practice. In my opinion, they are overrated, there are many other tailors offering cheaper packages. hi “annoyed” – Paul’s Fashion usually replies here to feedback; hopefully they can address the issue of the missing shirt. That is definitely not usual practice based on my own experience. It is Human honest mistake….why would anyone do it intentionally ? I am interested to alter my wedding suit during my visit to Bangkok this October. Would like to know what is the range of the charges on the suits? and what is included in the package? How many days (including weekend) needed for the suits making? Hi I am keen to make a casual Blazer lightweight and some casual shirt. ? Can I know whats the cost like? Can i check “Tell them that you are referred by PassportChop.com and you will get an additional 10% discount on your purchase.” Does this still apply for the Bangkok Paul’s Fashion Tailor?